Before becoming a professional mezzo-soprano, the violin and the baroque violin have been the main activity in her life. In 2002 she graduated in Barcelona Liceu Conservatoire with the great teacher Heriberto Fonseca and she was member of the National Catalonia Young Orchestra and the National Spanish Young Orchestra. During these years she had the oportunity of receiving master classes with Víktor Liberman, Yehudi Menuhin, Vartan Manoogian and Kees Hulsman. Since 2002 she could experience the “stage movement”, playing the violin between the dancers Arnd Müller and Janet Ruhl. She composed and performed on stage the music for their choreographies in different contemporary dance Festivals in Spain and Germany as “Tanztage Berlin”, “Dies de Dansa” in Barcelona Caixa Forum and “En pe de Pedra” in Santiago de Compostela among others. More and more she became curious about the historic way of playing instruments and as well as the different styles of every epoch. Listening to Hiro Kurosaki in concert and receiving great advice from Corrado Bolsi, she decided to start playing baroque violin. A Master Degree in old music and baroque violin in le Conservatoire National de Région de Toulouse with the violinist Gilles Colliard, turned herself into the passionate world of historic interpretation and baroque violin. 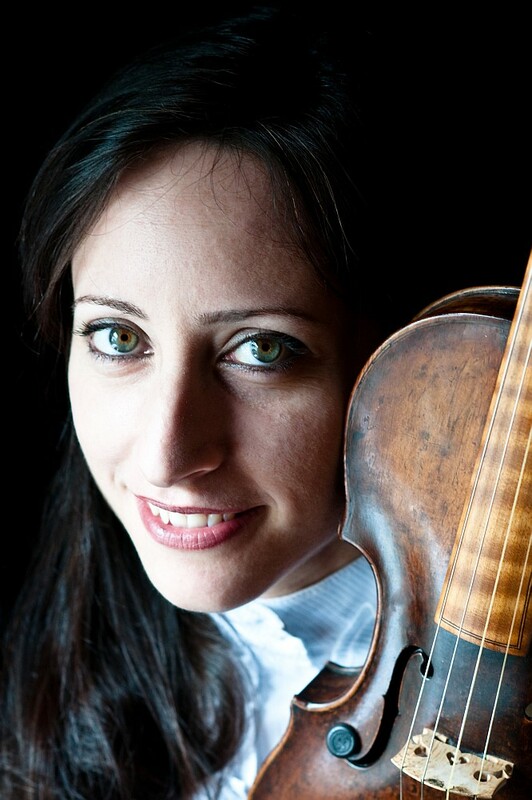 Lidia Vinyes Curtis professional career in baroque orchestras, started with engagements in the Academia 1750 since 2006, performing in the Torroella’s Music Summer Festival (conducted by Paul Goodwin, Alfredo Bernardini and Stefano Dantone among others). Collaborating with Catalan Baroque Orchestra since 2005, also with Al Ayre Español conducted by Eduardo López Banzo since 2008, with Ensemble Baroque de Limoges conducted by Christophe Coin and finally performing XVII century music with her group Movimento Arioso together with Eva del Campo, Farran James, Coen Engelhard and James Bush. Playing the Rosary Sonatas and Harmonia artificioso-ariosa by H.I.F.Biber they received very good critics from the main spanish newspapers.